Duties include determining YANA’s mission and agenda, and overseeing governance, impact assessment and financial operations. Andrew Burgie ’87 has been on the YANA NYC Board since 2017. He is the head of the YANA Extended Day of Service initiative that seeks to convert the Day Of Service initiative into a year-long endeavor with multiple entry points for volunteer opportunities. Andrew is an industrial hygienist who specializes in Health and Safety training for emergency responders in New York State through an NIEHS Hazardous Waste Worker Training Grant and an adjunct professor in Global Environmental Public Health issues presently at NYU’s College of Global Public Health. He is also a Co-chair of the Public Service/Social Justice Committee of Yale NYC and very active in Student Outreach for various committees of the American Industrial Hygiene Association. Todd Brecher is an expert in helping companies grow their businesses through corporate development and strategic alliances. In his 20+ years as a corporate development and legal executive, Todd has served as a trusted advisor and business partner to senior executives in the evaluation, structuring, negotiation, and implementation of acquisitions, investments, joint ventures, and other strategic initiatives of every variety. Todd spent over 14 years at Time Warner Cable and Cablevision Systems Corporation in positions of increasing responsibility and his background also includes several years spent in private legal practice in San Francisco and Palo Alto during the height of the late 90s Internet boom. Todd is currently serving as legal consult to a data analytics company and as a strategic advisor to four social impact startup businesses. He is strongly committed to non-profit service, and serves as a National Board member and Vice-Chair. Programs of the American Reform Zionist Association, and as a Board member and Vice President of Temple Israel of New Rochelle. In addition, he is an active member of the Yale Alumni Nonprofit Alliance. Todd is a graduate of Yale University and Boalt Hall School of Law, and resides in New Rochelle, NY with his wife and 3 children. Joe DeNicola has been the Treasurer of YANA since 2014. Joe received his B.A. from Yale in 1986 and his M.F. from the Yale School of Forestry and Environmental Studies in 1996. Most of his professional experience has been in financial services and general management including 25 years with GE Capital and The Prudential. In addition, he founded and led the Candlewood Timber Group, a sustainable forestry company operating in Argentina. Joe is currently the Executive Director of SosteNica, a 501(c)(3) nonprofit that integrates educational and environmental programs with financial services, creating a holistic approach to the alleviation of poverty in Nicaragua. He is the past Chair of the Board of Solar Youth, a nonprofit dedicated to youth leadership development. Alison Gardy joined the Board in 2019. Alison’s passion is to is to help individuals and worthy causes grow stronger and increase their impact. For 15+ years, she has created collaborative, interdisciplinary educational programming for local, national, and global leaders; grown and inter-connected diverse communities; and nurtured thriving partnerships with prominent nonprofit and business leaders. A multilingual collaboration-builder and relationship-builder, she launched Yale Community Connect in January 2018 to facilitate ongoing volunteer relationships between Yale alumni (and friends) and nonprofit organizations and under-resourced public schools seeking volunteers. Currently she is a Program Officer at the Steinhardt Foundation for Jewish Life. Prior to a year of consulting and leadership service in public schools, Alison was Director of International Relations at 92nd Street Y, where she launched, led and executed original programs such as the Ford Motor Company International Fellowship (2001-2016), the Diplomatic Roundtable Series (2001-2016), and International Way of the annual 92Y StreetFest (2003-2016). Previously, Alison taught writing at New York University; reported for the New York Times, Wall Street Journal and other publications; and, on a Fulbright grant, investigated social change in Mexico (1988-1989). Alison led the Greater New York Chapter of the Fulbright Association (2000-2002) and has served as a Fulbright Association Board Director (2000-2006, 2017- present). She has a BA in Comparative Literature (Spanish and Russian) from Yale University and a MFA in Literary Nonfiction Writing from Columbia University’s Graduate School of the Arts. Alison lives on the Upper West Side of NYC with her husband Ira Mitchneck and their three children. Daniel was a member of the founding team of Locus Analytics, a macroeconomic data analytics firm and think tank, and Syntax LLC, an asset management firm, where he currently serves as in-house counsel and advises on business development, strategic planning, and technology development initiatives. He previously worked in business development for IIX, an impact financing platform backed by the Asian Development Bank and the Rockefeller Foundation; for the World Bank on corporate governance matters; and in portfolio development for Balfour Venture Partners, an investment advisor focused on life sciences and software companies. Prior to that, he was an independent film producer and worked for the New York Stock Exchange. Daniel holds a B.A. from Columbia, where he was a John Jay National Scholar; a J.D. from Georgetown; and an M.B.A. from Yale, where he was a winner of the Yale Law and Business Society Entrepreneurship Challenge. He has presented research at the University of Cambridge and the World Bank on data analytics and sustainable development. He has advised dozens of technology startups, social enterprises, and NGOs in the U.S., the Middle East, South and Southeast Asia, and Sub-Saharan Africa. He serves on the Bretton Woods Committee. Grace Hsieh ’07 is Chair of Events and a member of YANA’s National Board & Executive Committee. With a strong background in global brand development, project and team leadership, and strategic marketing communications, her client leadership roles have included organizations in both the for-profit and non-profit sectors across a variety of industries: tech, retail, fashion, spirits, tourism, hospitality, finance, and education. She holds a Bachelor of Arts with Distinction in Humanities and International Studies from Yale and attended the MBA Program of the Wharton School at the University of Pennsylvania. A former President and Board Member of the Yale Club of Beijing, as well as a previous New York City Regional Director of the Yale Day of Service, Grace is co-New York lead of Young China Watchers, a member of the Young Patrons of Lincoln Center, and has had four solo piano performances at Carnegie Hall. Ken Inadomi ’76 is the founding chair of YANA, the co-chair of the Yale Alumni Task Force on Diversity, Equity, and Inclusion, and former co-chair of Project Redwood, a social philanthropy program funded and managed by alumni from the Stanford Business School. He currently serves as the executive director of NYPACE (New York Professional Advisors for Community Entrepreneurs), a nonprofit that provides pro bono consulting to entrepreneurs operating in underserved, under-resourced communities of New York City. He and his wife Melinda Wolfe live in Manhattan. The Rev. Molly F. James (‘05 Divinity) holds a PhD in Theology from the University of Exeter (UK). She holds a Master’s of Divinity from Yale Divinity School and Bachelor of Arts in Psychology from Tufts University. She was ordained by The Rt. Rev. Chilton Knudsen in 2005. She has served as a hospital chaplain and a parish priest. She currently serves on the Bishops’ Staff for The Episcopal Church in Connecticut as the Dean of Formation. Molly is a previous co-chair of Young Clergy Women International (an ecumenical organization of clergy women under 40), and has served as a board member for the Society of Scholar Priests. Molly and her husband Reade (a mechanical engineer) live in West Hartford, CT with their two children, Katherine and Halsted. Laura Kadetsky (Yale College ’99) is General Counsel & Secretary of New Leaders, a national nonprofit with the mission to ensure high academic achievement for all children, especially students in poverty and students of color, by developing transformational school leaders and advancing the policies and practices that allow great leaders to succeed. Laura co-founded the YANA D.C. Chapter in 2016 and serves as its Chair. She joined the YANA National Board in 2018 and is a member of the YANA Governance Committee. Rob Leighton SOM ’88 joined the YANA National Board in 2018. He is the executive director of the iMission Institute Inc, a benefit corporation providing strategic fund development services for nonprofit organizations. Rob has experience in multiple sectors. He has served on public and nonprofit boards in including Boys & Girls Clubs, Connecticut Tobacco and Health Trust, and various economic development and workforce development organizations. He held various executive positions in the private sector, including president and CEO of private-equity controlled natural foods companies. Prior to attending the Yale School of Management, Rob was a representative with the Service Employees International Union in Los Angeles. He is a partner with Social Venture Partners in Connecticut. 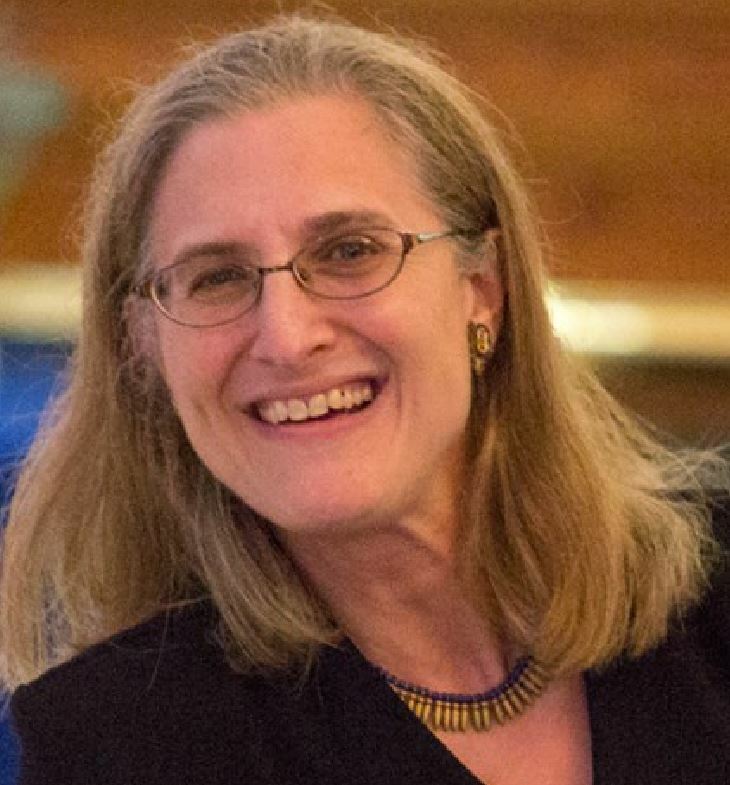 Rachel Littman ’91 has been on the YANA National Board since 2017. She is co-chair of the YANA New England Chapter and has recently taken on the Chair of Chapter Chairs position as a member of the YANA Board Executive Committee. After several years as a Wall Street corporate finance attorney, Rachel turned her attention to higher education and nonprofit governance, currently chairing the Board of Trustees of the Moses Brown School, an independent k-12 Quaker school in Providence, RI. Rachel also focuses on matters related to racial and socioeconomic inequities in access to and success in education through the research platform website she created, www.SeeTheGaps.org. Lou Martarano is Vice President of YANA’s Board and serves on its Executive Committee. He established and runs the YANA New York Roundtable program on best practices for board members and social enterprise leaders. For Penn State’s Eberly College of Science he serves as Chair of the Dean’s Advisory Board and a member of its Development Committee, which he formerly headed. He is the Director of Penn State’s Science BS/MBA joint degree program. He is also a member of the Advisory Board of Penn State’s Palmer Art Museum. Lou has served Marymount Manhattan College’s Board of Trustees as a member (2002 to 2011) and Chair (2011 to 2013). Lou has financial, managerial, and educational experience. He has led groups in the United States and Europe in the financial services industry for Merrill Lynch and Kidder Peabody. Currently, he is involved in advisory services, higher education and venture capital finance, including the Bulldog Innovation Fund, a venture capital investor founded by Yale alumni serving the Yale entrepreneurial community. Lou received a Master’s Degree in Public and Private Management from the Yale School of Management, and a Bachelor of Science in chemistry from The Pennsylvania State University. Kimberly Ueyama (SOM ’16) joined the YANA National Board in 2018. Following several years as a teacher in New Orleans, initially through Teach For America, she pursued her MBA at Yale where she remained involved in the nonprofit space. Kimberly currently works for CCS, a strategic fundraising firm that partners with non-profits for transformational change. Representing a range of sectors, her clients include: Sanctuary for Families, The New York Public Library, Greenwich Academy, the International Network for Civil Liberties Organizations, Manhattan College, and Brooklyn Public Library. James H Wendorf has more than three decades of experience leading high-impact nonprofit organizations. He has worked extensively with boards, funders, teams and consultants to build programs, partnerships and financial resources to meet ambitious goals. He is Principal of JHW Advising, which provides consulting services to social impact organizations on strategic planning, partnerships and board, talent and fund development. Mr Wendorf recently served as Senior Advisor at the Poses Family Foundation. For 17 years, Mr Wendorf led the National Center for Learning Disabilities (NCLD), where he directed NCLD’s strategic initiatives to empower parents and young adults, transform schools and advocate for equal rights and opportunities. He has also served as Vice Chair of the Congressionally authorized Advisory Commission on Accessible Instructional Materials in Postsecondary Education for Students with Disabilities, as a member of the Director’s Council of Public Representatives at the National Institutes of Health (NIH), as a member of the NIH Chimpanzee Research Usage Panel and as an advisor to several education organizations.